Peel, core, and quarter apple and cut into thin slices. Separate mint into individual sprigs. In a small saucepan, combine apple juice, lemon juice, and sugar. Simmer over medium heat until sugar dissolves. Allow to cool. 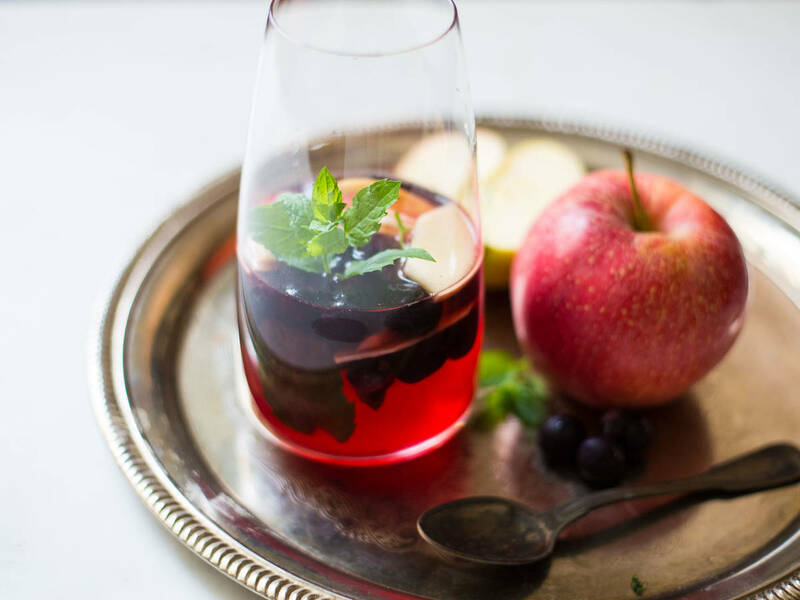 Then, pour into glasses for serving and divide apple slices, blueberries, and fresh mint among glasses.